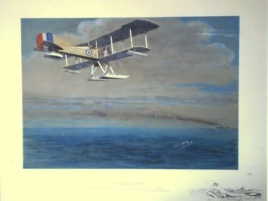 Alma Claude Burlton Cull (1880-1931). 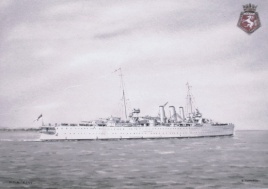 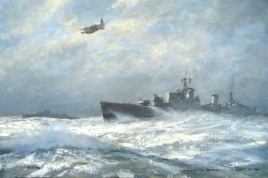 Commander Eric Tufnell RN (1888-1979). 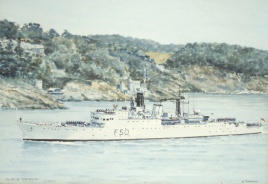 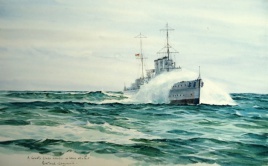 THE ISLE OF WIGHT - "A PASSING SHOWER"
Watercolour signed and dated "08"
Lt Col Harold Wyllie OBE RSMA (1880-1973). 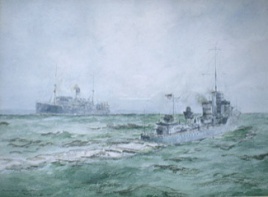 Oscar Parkes OBE MB Ch B (1885-1958). 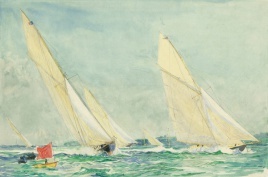 Snaffles (Charlie Johnson Payne) (1884-1967). 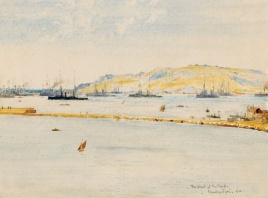 PORTLAND HARBOUR, DORSET, ENGLAND - "THE FLEET AT PORTLAND, 1912"
Watercolour signed and dated 1912. 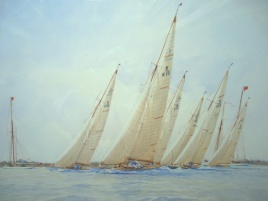 Mandy Shepherd (1960 - ). 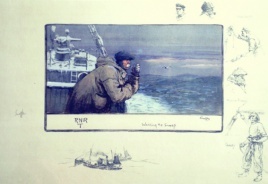 Etching proof copy signed not dated. 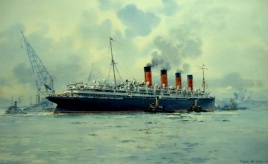 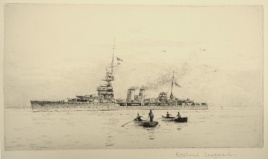 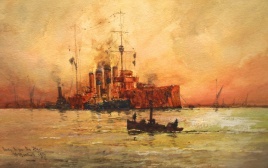 Cecil King, RI RBA ROI RSMA (1881-1942). 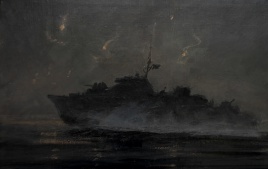 MTB AT SPEED : NIGHT ACTION! 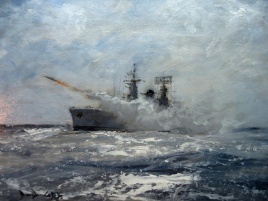 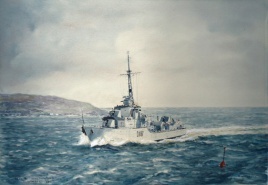 Oil on board; signed and dated 0810 [hrs] 31/7/82. 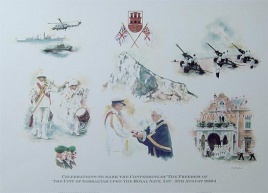 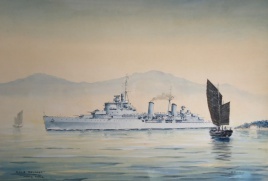 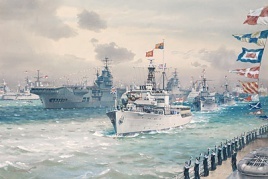 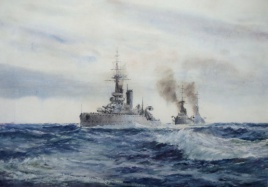 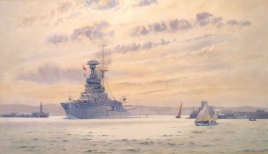 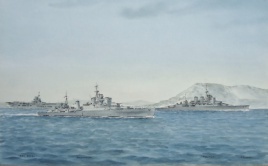 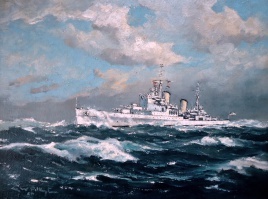 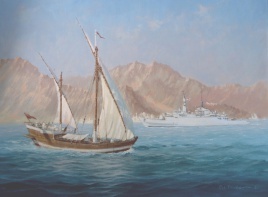 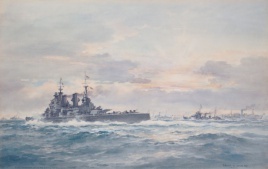 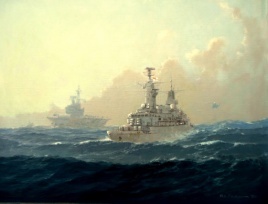 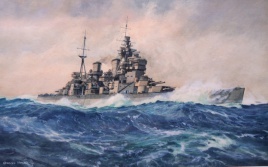 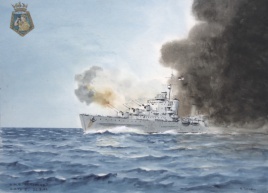 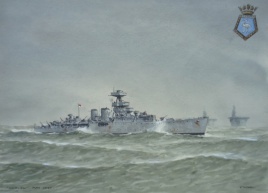 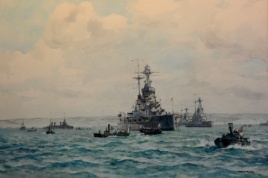 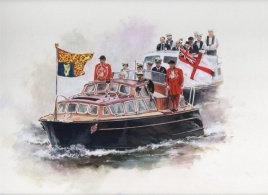 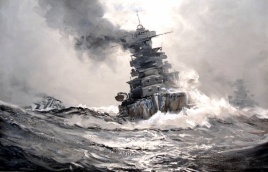 HMS HOOD AND REPULSE: "TRANSFERRING THE ADMIRAL OFF GIBRALTAR, 1938"
Phillips, Commander Rex (1931-2015 ). 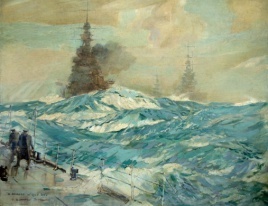 W M Birchall (American; b.1884). 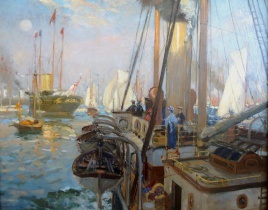 Arthur James Wetherall Burgess (1879-1957). 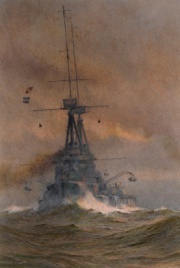 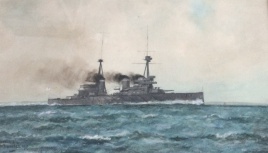 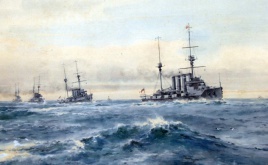 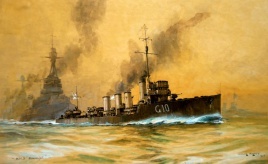 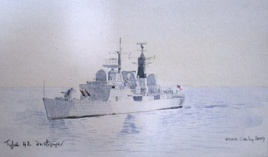 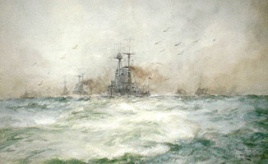 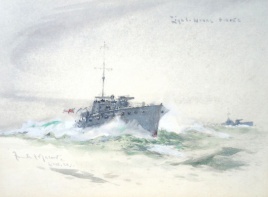 Watercolour signed and annotated "HMS NEWCASTLE"
Watercolour signed H J Swanwick, undated and inscribed "TIGER"
HMS NEW ZEALAND: THE SIXTEEN POINT TURN AT JUTLAND, 31 MAY 1916. 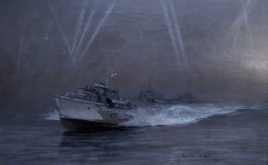 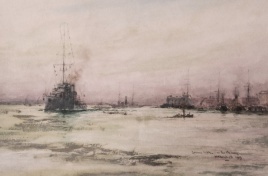 THE RIVER MEDWAY - "BETWEEN LIGHTS ON THE MEDWAY"
LIGHT CRUISERS PATROLLING - "NAVAL WATCHERS IN THE NORTH SEA"
Watercolour signed, dated 1920 and inscribed "On Active Service"
8 METRES RACING: "SAGGITA DEPART LE REGATE!" 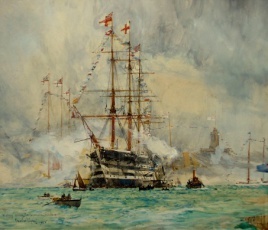 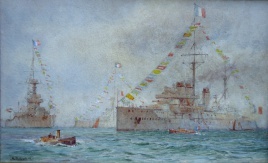 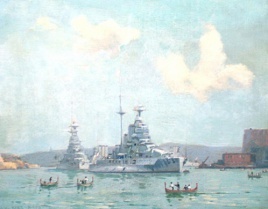 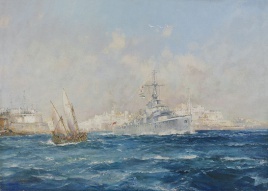 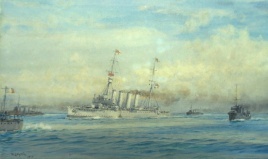 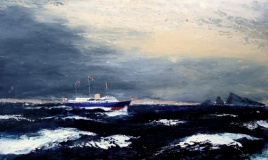 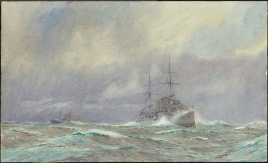 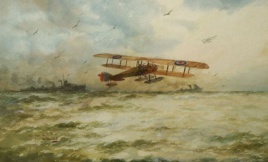 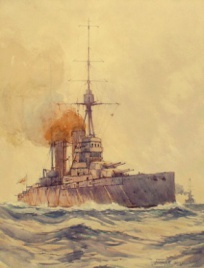 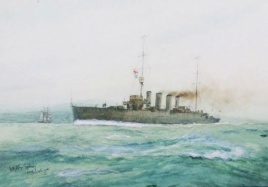 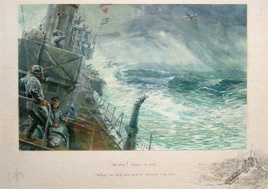 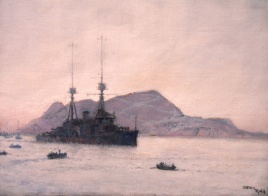 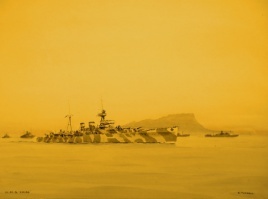 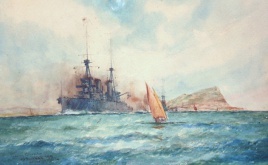 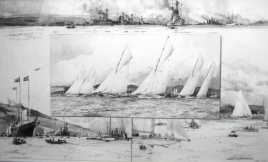 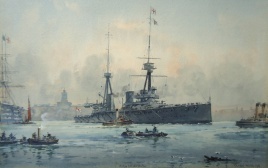 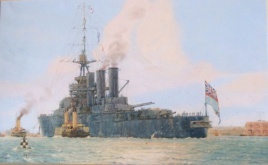 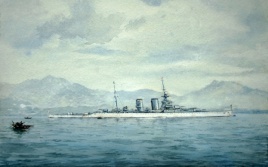 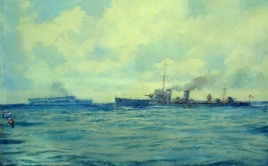 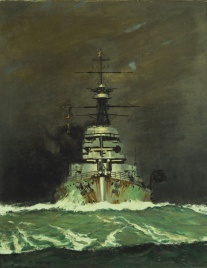 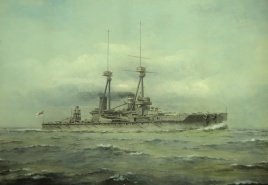 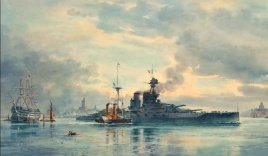 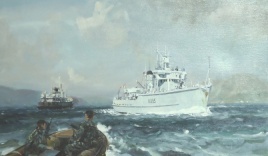 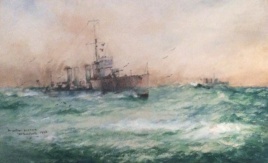 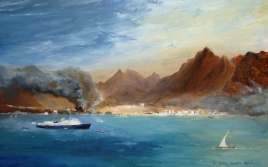 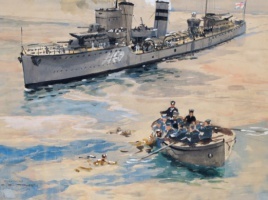 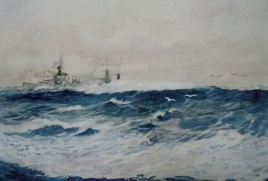 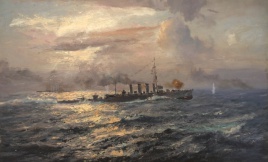 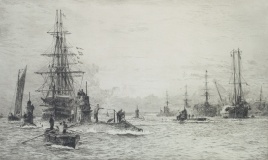 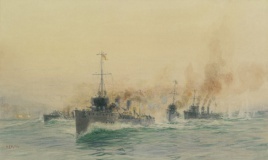 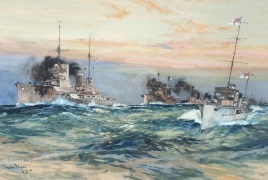 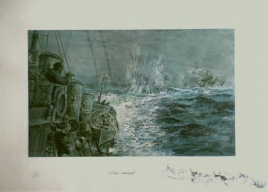 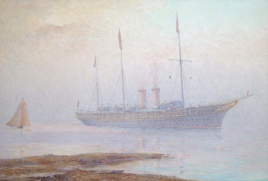 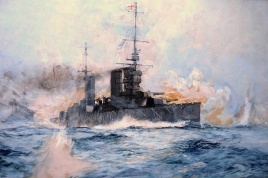 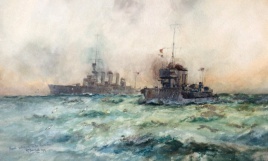 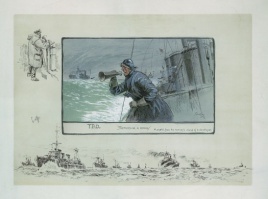 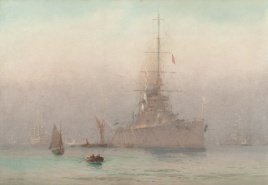 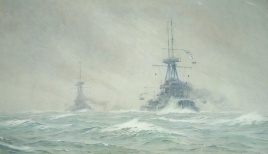 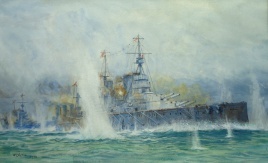 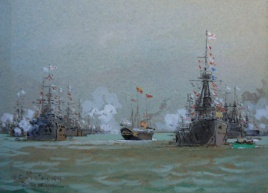 Watercolour, signed and dated 1919 and annotated by the artist, "HMS CORNWALL"
Watercolour, signed with initials "TG" [Timothy Garden] and dated "36"
oil on canvas signed (LL) and annotated (LL) " A Breeze in The Bay"
HMS LION: "BRINGING IN THE WOUNDED LION"
Oil on board, signed David Cobb and dated "87"
MTB 230 AND COHORTS AT SPEED - NIGHT ACTION! 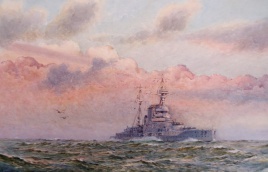 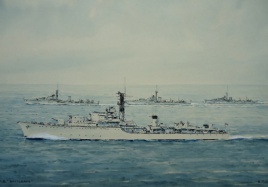 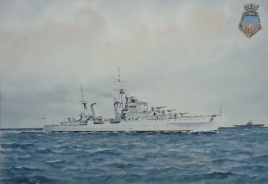 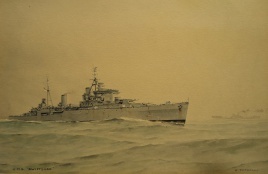 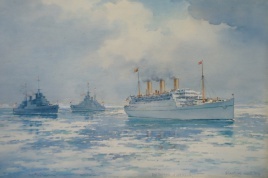 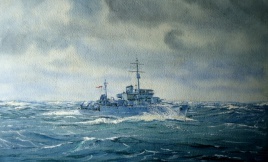 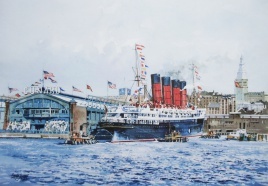 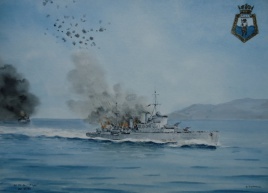 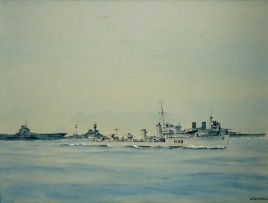 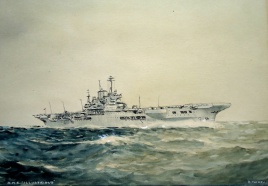 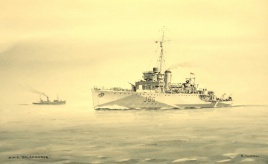 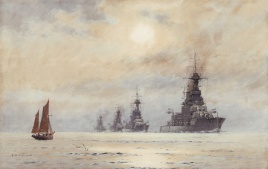 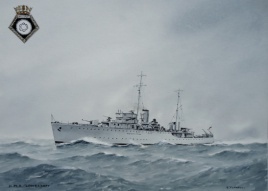 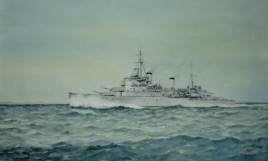 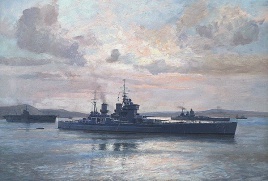 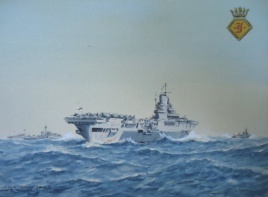 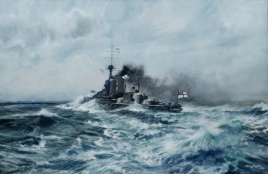 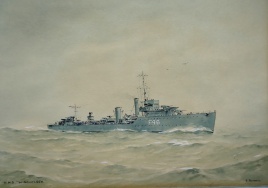 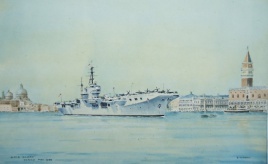 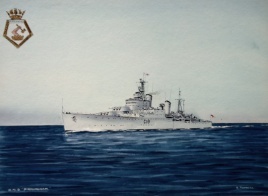 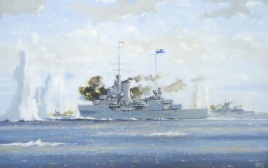 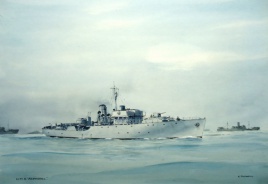 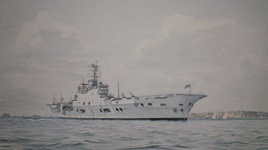 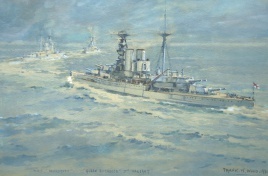 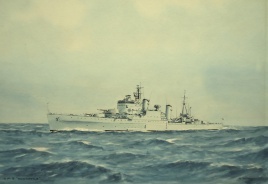 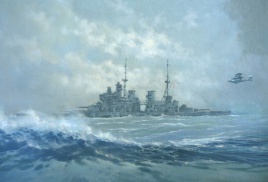 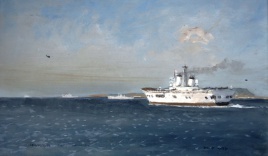 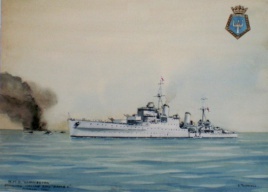 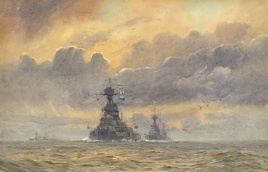 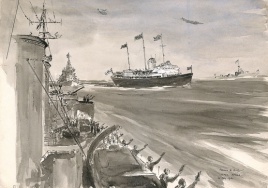 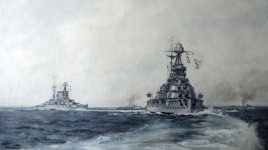 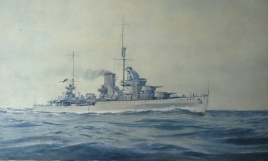 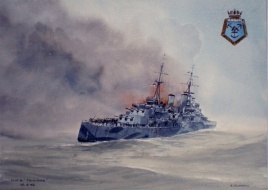 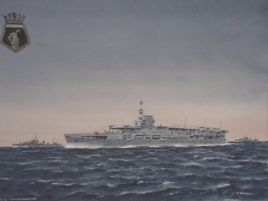 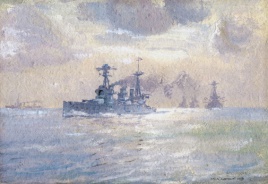 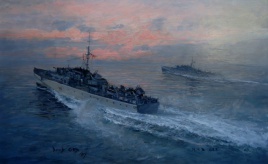 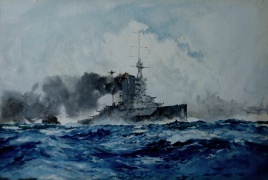 Oil on board, signed David Cobb and dated "90"
Gouache on board, signed and annotated "The Terriers at GRAF SPEE's heels..."
KING EDWARD VII CLASS BATTLESHIPS AT SEA - "BRITANNIA'S WATCHDOGS"
Watercolour, signed and annotated " HMS WHIRLWIND Winter 1950"
Original watercolour signed and dated "19"
Leslie A Wilcox, RI, RSMA (1904-1982). 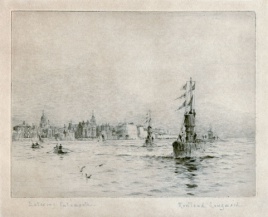 Etching signed in original hand. 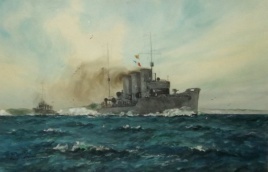 Watercolour signed and dated 1923. 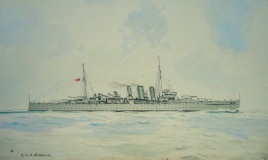 Watercolour signed and dated 1913. 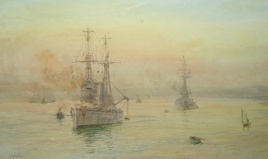 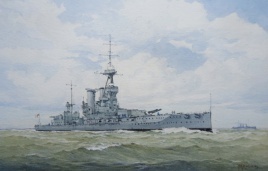 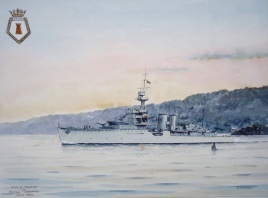 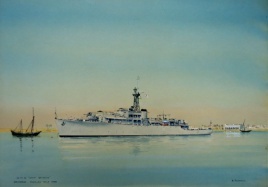 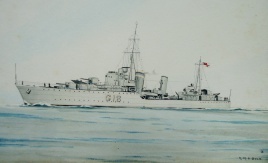 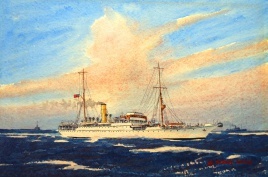 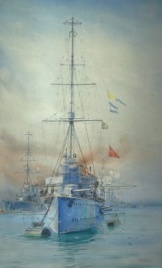 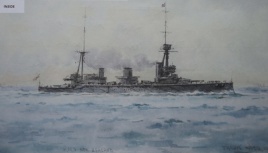 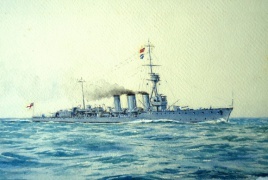 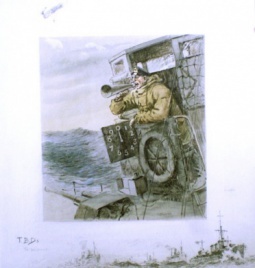 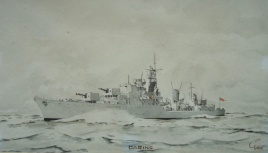 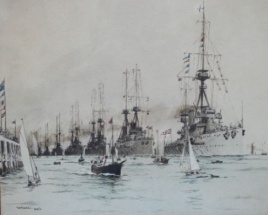 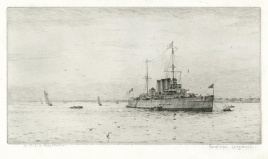 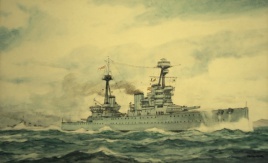 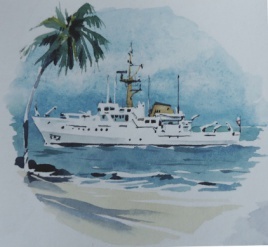 Watercolour signed and dated '10; inscribed verso "1905-1906 HMS Jupiter". 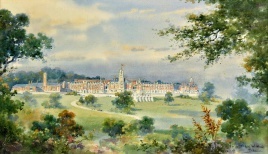 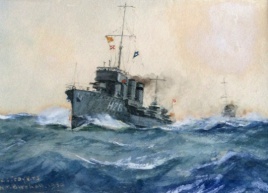 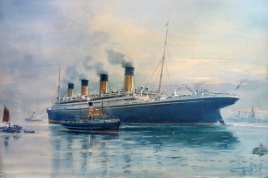 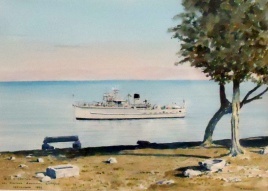 Watercolour signed and dated 1919 (LL). 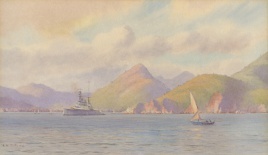 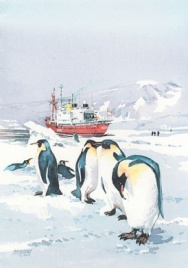 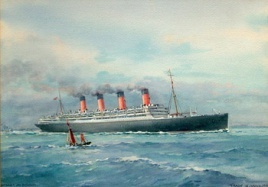 Watercolour, signed and dated 1926. 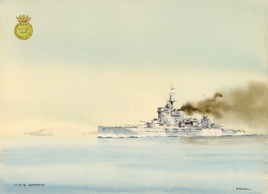 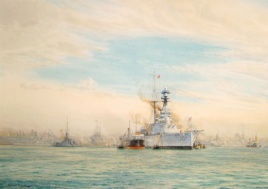 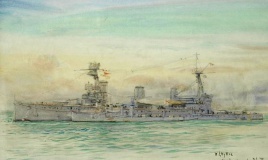 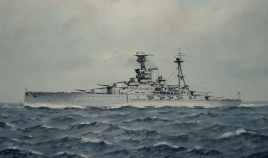 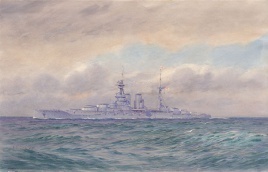 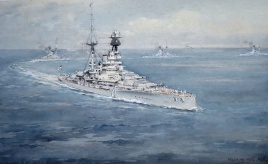 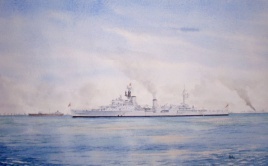 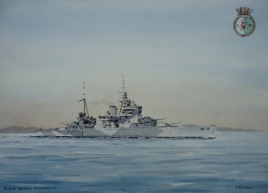 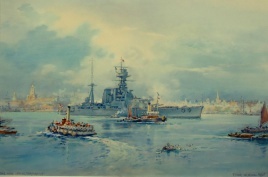 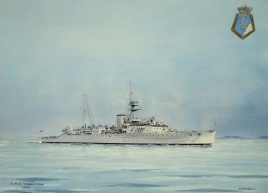 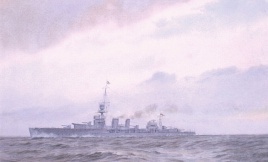 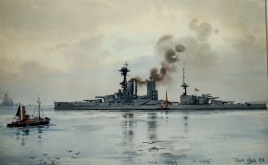 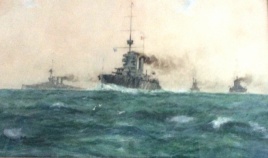 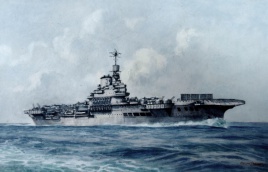 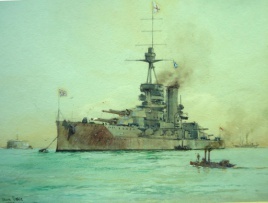 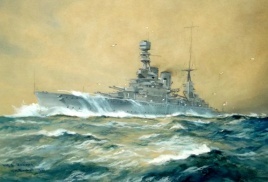 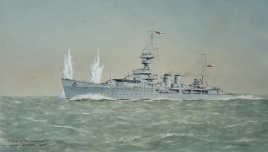 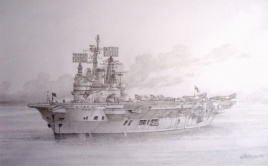 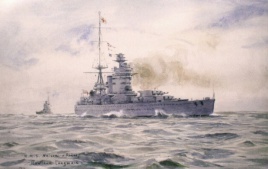 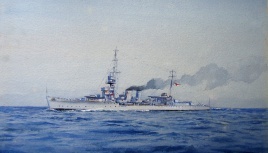 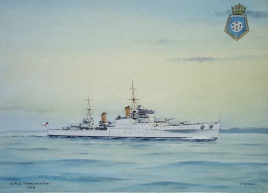 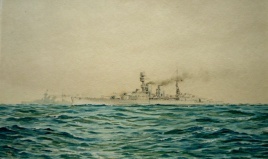 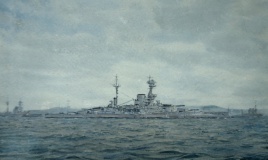 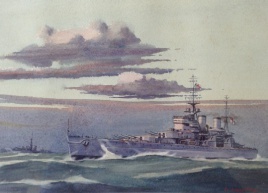 Watercolour signed and dated 1935 and annotated "HMS HOOD leaving Portsmouth." 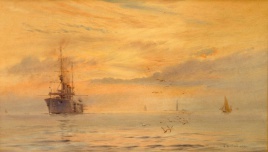 Watercolour signed, dated 1922 and annotated "Sunset after Fog"